The VP’s comments came a day after the U.S. unveiled a new slew of sanctions on Iran, marking a return to the policy of maximum pressure against Tehran suspended under the controversial nuclear agreement officially known as the Joint Comprehensive Plan of Action (JCPOA). In August, the Trump administration imposed the first round of sanctions suspended under the controversial Iran nuclear deal. U.S. Secretary of State Mike Pompeo confirmed that the Trump administration granted temporary sanction waivers to Iran’s eight biggest customers — China, India, Italy, Greece, Japan, South Korea, Taiwan, and Turkey — to ensure the move does not destabilize crude oil prices. 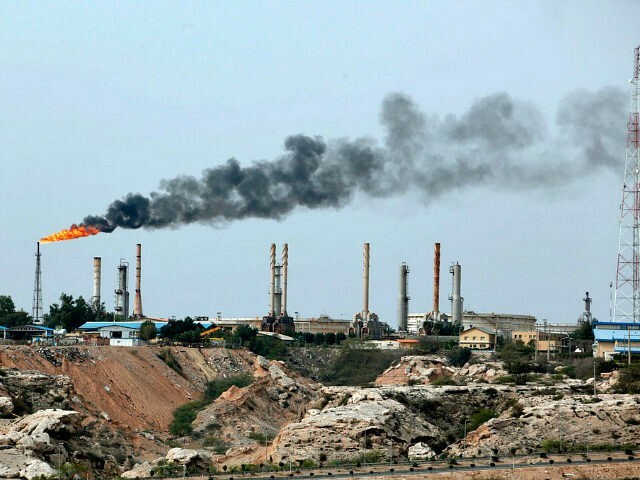 The original aim of the sanctions was to cut Iran’s oil exports as much as possible … Crude exports contribute one-third of Iran’s government revenues. The exemptions allow the eight countries to import at least some oil for another 180 days, and could mean the exports start to rise after November. This group of eight buyers takes as much as three-quarters of Iran’s seaborne oil exports, trade data shows. Citing concerns about triggering global price hikes, Trump said he wanted to go easy on Iran sanctions. “I could get the Iran oil down to zero immediately, but it would cause a shock to the market. I don’t want to lift oil prices,” President Trump told reporters. “The decision by the U.S. [to grant waivers] represents a departure, for now, from the stated aim of reducing Iran’s oil exports to zero,” Pat Thaker, regional director for the Middle East and Africa at The Economist Intelligence Unit, told Reuters. According to the Trump administration, the new sanctions target Tehran’s oil, shipping, insurance, and financial sectors. “The Americans have entered the field of sanctions with all their power and capacity, but the important thing is that it [the U.S.] is standing isolated and alone on the world stage,” he proclaimed. “We know no government in Europe, Africa, and Asia that officially voices support for U.S. sanctions; except the Zionist regime and a couple of regional countries,” Jahangiri added. Non-U.S. signatories to the Iran nuclear deal have decided to remain committed to the agreement without the United States, which pulled out in May, noting that Tehran failed to meet its obligations under the pact. “Iran has vowed resistance in the face of Washington’s economic pressure. It is now in talks with its other five partners in the deal – France, the UK, Germany, Russia, and China – to keep the international document alive and blunt the impact of the US bans,” Press TV reports. The Iranian regime has a choice. It can either do a 180-degree turn from its outlaw course of action and act like a normal country, or it can see its economy crumble. We hope a new agreement with Iran is possible, but until Iran makes changes in the 12 ways that I listed in May, we will be relentless in exerting pressure on the regime … Rest assured Iran will never come close to getting a nuclear weapon on President Trump’s watch. The Trump administration has already imposed “19 rounds of sanctions targeting 168 Iranian entities,” Pompeo noted.